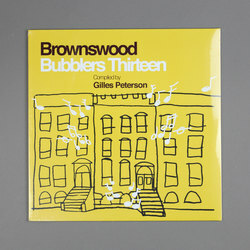 Various Artists - Brownswood Bubblers Thirteen. Vinyl LP, CD. Bleep. It’s that time again. The 13th instalment of Brownswood Records’ Brownswood Bubblers compilations sees Gilles Peterson’s label come through with yet another comprehensive survey of UK’s jazz, soul and hip-hop scenes. As usual, it’s a delightfully mixed bag - tracks such as the slo-mo electro-r&b of Lynda Dawn’s ‘Move’ sit side by side with the poetry slam grime of Oscar #Worldpeace’s ‘No White God’. Emma-Jean Thackray, Yazmin Lacey and Puma Blue are also among the tracklist.